What are some things YOU can do to help take care of our Earth? Things we throw away in the garbage end up in a landfill. A landfill is a place where trash is put into a hole in the ground and covered with dirt. Sometimes garbage is incinerated, or burned. When garbage is burned, it creates toxic smoke in the air called pollution. We need to reduce the amount of trash we throw away! Reduce means that we will try to lower the amount of things we throw in the garbage. 1) Pack a "no waste" lunch: Pack only as much food as you know you will eat, and pack it in things you can bring home and use again, such as a cloth napkin and Tupperware. 2) Use less paper! Instead of throwing away a piece of paper, turn it over and color on the back. 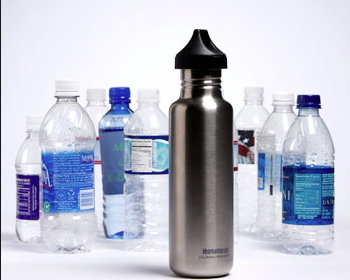 3) Bring a reusable water bottle! Reuse means that instead of throwing some things away, we can use them for something else. Do you like yogurt? Instead of throwing away your yogurt cup, you can clean it out and use it to grow plants! 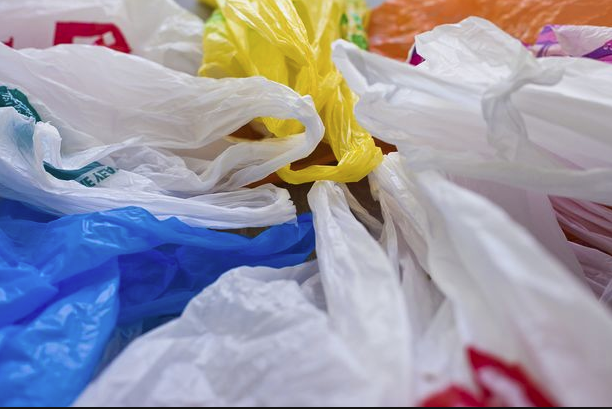 ​Did you know it takes between 500 and 1,000 years for plastic bags to degrade?! 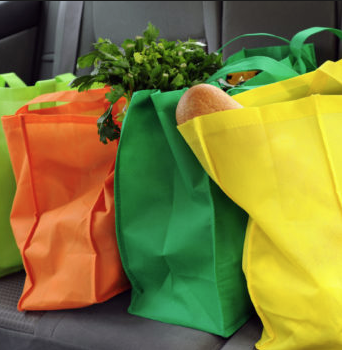 Well, you can reduce the number of plastic bags by taking reusable shopping bags with you to the store! 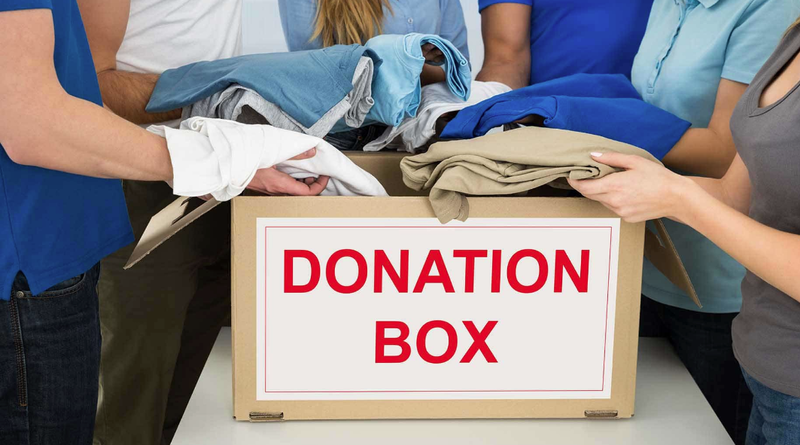 You can donate old clothing and unwanted items to people who can use them for other things. Have you ever seen the symbol to the right? 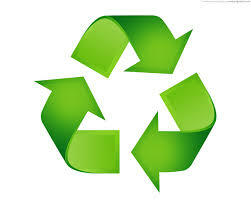 This symbol means "recycle." You will see it on the side of the blue recycling bins we have here in school, at the park, and at the mall. Recycling means we send items to a place where they can be broken down and made into something new. 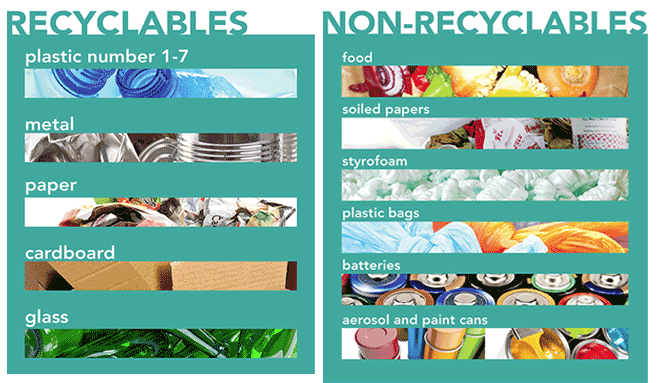 What are some things we can recycle? Plastic bags you get at the grocery store are not recyclable! That means you cannot put them in the recycling bin. ​Click here to find out how to recycle plastic bags! The Pacific is the largest ocean in the world. There is a huge patch of garbage floating in the Pacific Ocean. It is two times the size of the United States. It is polluting the ocean and is dangerous for animals, because they think the plastic is food. Trash from the garbage patch washes up on shore in Hawaii, California, and Japan. Small pieces of plastic float in the water across the entire Pacific ocean. Check out this article about a young man who plans to clean up the garbage patches in the oceans. 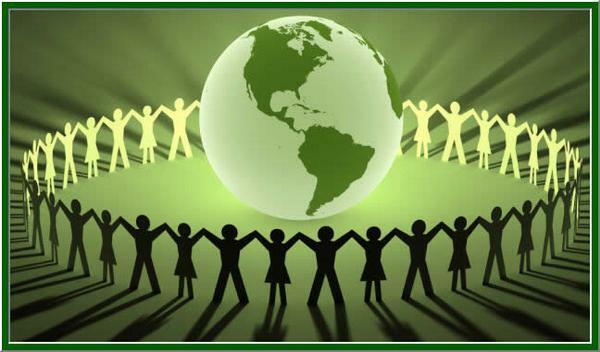 There are plenty of things you can do right here in Danbury to help the Earth. Help us take care of our beautiful parks by recycling what you can and throwing away your garbage. Don't be a litterbug! If you see trash on the ground, pick it up! Help our community stay clean and litter-free. But don't forget to wash your hands! "Creative REuse Wedding Centerpiece." How to Reuse It Creatively. Web. 01 Apr. 2015. <http://howtoreuseitcreatively.com/eco-friendly-wedding/creative-reuse-wedding-centerpiece/>. "Great Pacific Garbage Patch 'has Increased 100-fold since the 1970s'" The Telegraph. Telegraph Media Group. Web. 06 Apr. 2015. <http://www.telegraph.co.uk/news/earth/environment/9253665/Great-Pacific-Garbage-Patch-has-increased-100-fold-since-the-1970s.html>. "How Big Is the "Great Pacific Garbage Patch"? Science vs. Myth | Response.restoration.noaa.gov." How Big Is the "Great Pacific Garbage Patch"? Science vs. Myth | Response.restoration.noaa.gov. Web. 06 Apr. 2015. <http://response.restoration.noaa.gov/about/media/how-big-great-pacific-garbage-patch-science-vs-myth.html>. "Litterbug Stock Vectors, Illustrations & Clipart." Litterbug Stock Illustrations – 3 Litterbug Stock Illustrations, Vectors & Clipart. Web. 06 Apr. 2015. <http://www.dreamstime.com/illustration/litterbug.html>. "Milford, CT : Milford, CT - Downtown Waterfall and Church." Photo, Picture, Image (Connecticut) at City-data.com. Web. 06 Apr. 2015. <http://www.city-data.com/picfilesc/picc14085.php>. "REDUCE.ORG." REDUCE.ORG. Web. 01 Apr. 2015. <http://www.reduce.org/>. "Reading Rainbow: How Trash Is Recycled with LeVar Burton." YouTube. YouTube. Web. 02 Apr. 2015. <https://www.youtube.com/watch?v=w1l8HXa3HLk>. "Reuse Plastic Bottles." So Creative Things Creative DIY Projects 9 Creative Ideas to Reuse Plastic Bottles Comments. Web. 01 Apr. 2015. <http://www.socreativethings.com/9-creative-ideas-to-reuse-plastic-bottles/>. "Spring Clean and Save Money on Garden Prep | Your Easy Garden." Your Easy Garden. Web. 01 Apr. 2015. <http://youreasygarden.com/spring-clean-and-save-money-on-garden-prep/>.